Not so long ago he was down and out, but Tiger Woods is slowly tagging back. Following troubles in his marriage that resulted in a divorcing, Woods lost form badly, and find himself ranked 58 from number 1 in no time. He failed to win any tournament for a record in his career 107 weeks. And took a leave from professional golf at one stage. But he still remains arguably the greatest golf player in his generation. He captured his 73 PGA Memorial Tournament last week, following Chevron World Challenge triumph last December. If he is swinging in the right direction, then to his colleges it’s sending shivering through their spine, Tiger is back. December 30 1975, in Cypress, California that where the golf muster was born, and turn professional in 1996, by April 1997 he had already won 1997 Masters. In June 1997 he was ranked number 1 and never looked back. Woods has been awarded PGA Player of the year a record 10 times, and has the record of leading the money list in nine different seasons. He has won 14 professional major golf championships-the second highest of any player with 73 PGA Tour events. He tops it up with more career major wins and PGA Tour wins than any other golfer ever. He has archived a career Grand Slam 3 times. But in sports taking good care of you is important. If Woods did, then today we wouldn’t be talking about him coming back, but pilling more records instead. He is a role model to many people, non-golfers and golfers, people are looking up to him, so what he did-did take away some of his public image and affected him on golf coarse. It’s a good lesson for everybody the importance of taking care of yourself-in everyway. Yes he did a blinder, but that doesn’t take away his skills and excellent swings in the golf course. He remains the only player to have won all four professional major championships in a row, accomplishing the feat in 2000-2001 seasons. If you don’t call him the greatest golfer ever in his generation, then you have your own reasons, but I just have no choice but to label him-the greatest in his generation. 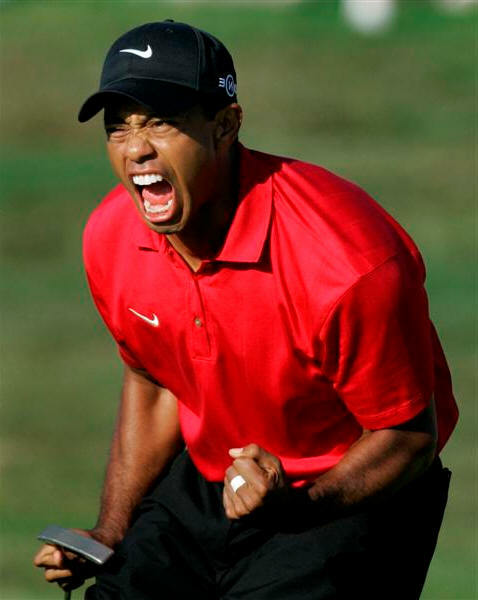 So at 36 Tiger can still be expected to tiger more in the golf coarse and win more majors. Rory, Phil and Donald are the man ahead of him currently and they seem to have more messy of waiting for him, one thing for sure when Woods arrive they won’t handle him and the he’s is beckoning, I doubt they will catch the Tiger once it goes past them. Tiger remains Wood!